Fiber Antics by Veronica: ATCs: Batter Up! 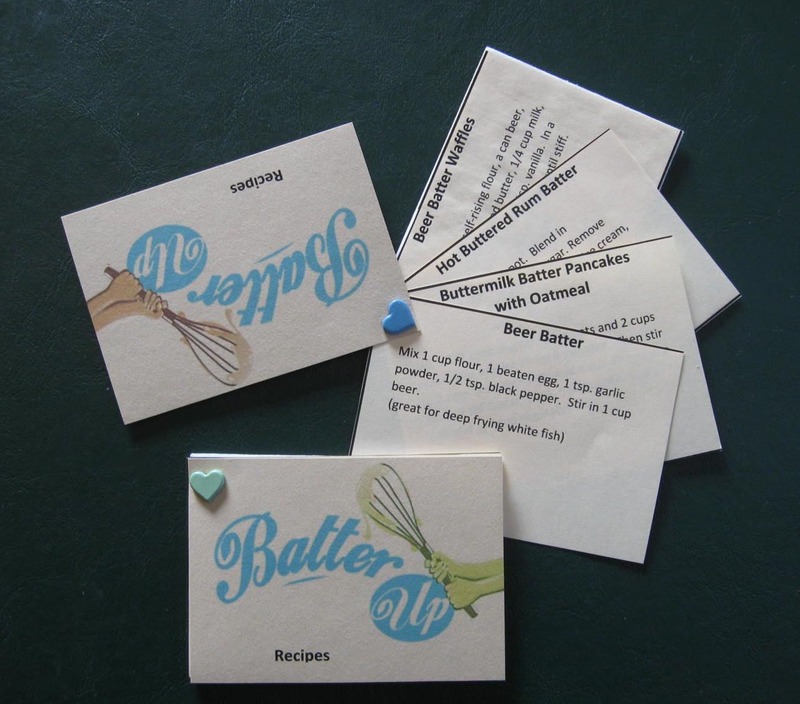 Whether you think of baseball or breakfast when you here the words, "Batter up!"... you know you're in for something good. 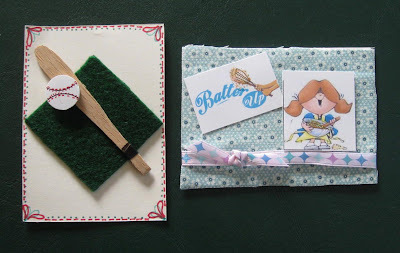 The theme for the March FiberAntics ATC swap was "Batter Up!". 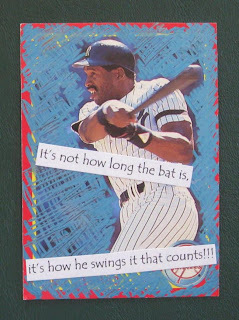 And, although several of the ATC artists mentioned to me they thought this was a difficult theme for them, I think the results hit a home run all the same. With the fantasy baseball league drafts completed last weekend and Opening Day coming this week, the people in my house (like my DH) are on the verge of being engulfed in another season of baseball. 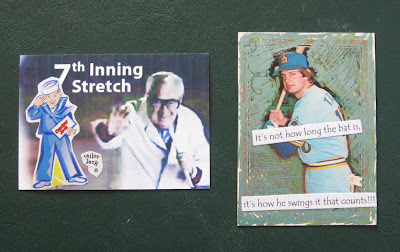 So, it wasn't that much of a "stretch" to put a baseball spin on my ATCs. Pancakes are also a popular weekend breakfast with my husband, who often gets creative in the kitchen by tweaking the buttermilk batter recipe each time he makes them. With this collection of Artist Trading Cards, we may have to update the menu and experiment with some new recipes. So, sit down to a hardy breakfast, peruse this month's ATCS, and enjoy the season whether you are a baseball fan, a baseball widow or you're just a fan of the beautiful spring weather that accompanies this time of year. 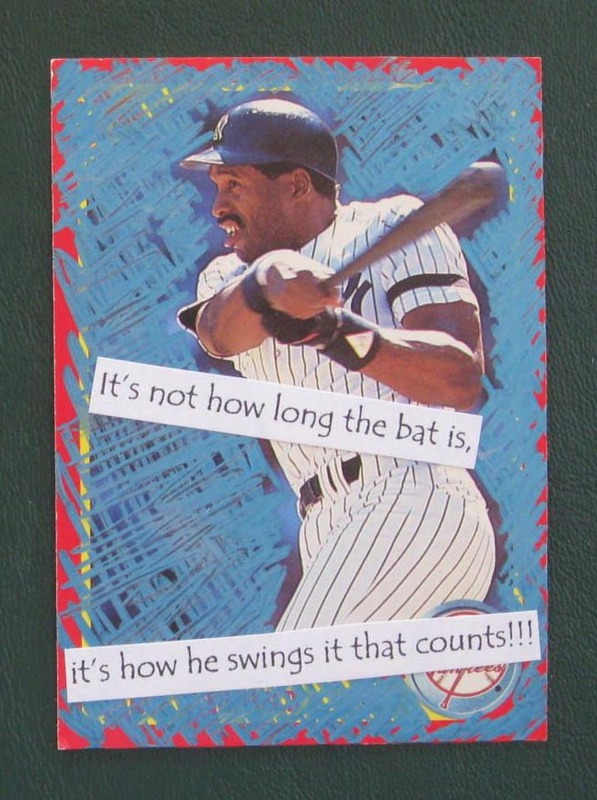 Great job, ATC artists, for getting out of the dugout, stepping up to the plate, and digging in your heels to find creative solutions to the March ATC theme. 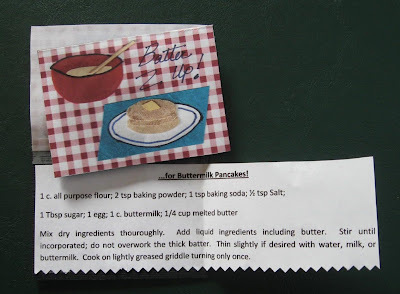 The sign of a true creative person is one who works with the given ingredients, stays in the kitchen (despite the heat) and delivers a fabulous meal. On that note, April's ATC theme is "Fast Food," followed in May by the companion theme, "Slow Food." It's a doubleheader!